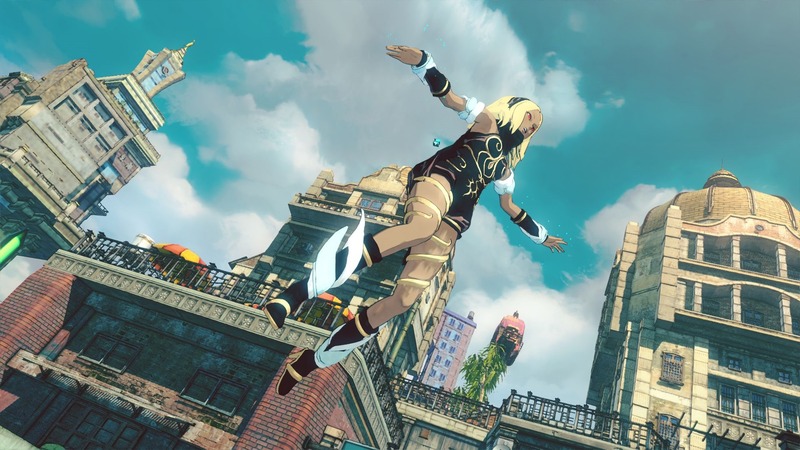 A new trailer from Sony at Paris Games Week was revealed last week for the upcoming Gravity Rush 2, showcasing some of the new gameplay features in more of detailed manner. As can be seen from the trailer above, some of the new features include an AI (unfortunately not 2nd player controlled) partner called Raven, one of the multiple new cities and the introduction of new styles of combat, Lunar and Jupiter. The sequel to one of the more inventive and must have PS Vita games, it was first announced during the Tokyo Game Show in September of this year, whereby we were told it was going to be a PlayStation 4 exclusive, much to the surprise of many of fans of the original. Despite the disappointment of Sony not supporting its portable console counterpart more, it certainly seems like it could be for the better as we can already see the game taking advantage of the superior power of the PS4. For starters, graphically the game is looking gorgeous. 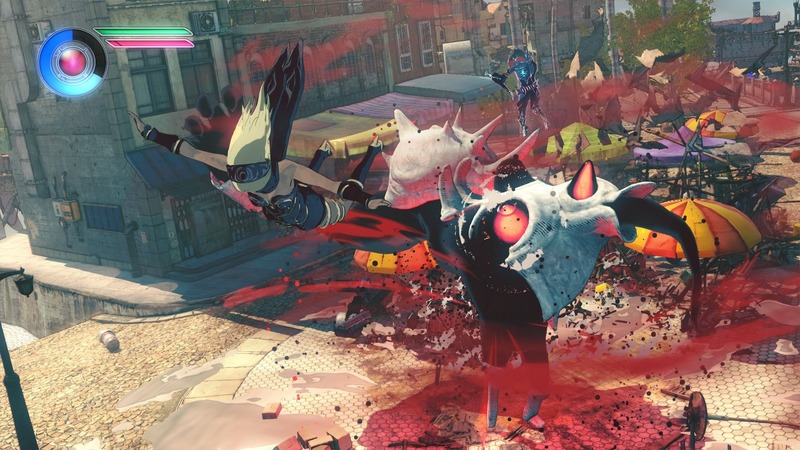 It was already a good looking game on the Vita, but it looks as if it’s getting a complete face lift. The world is much more vibrant and colourful, and due to a population of people is now more lively and realistic. It adds some much needed atmosphere to the originals dynamic, albeit slightly sparse world, that only serves to create a much more interesting setting, with the potential of some creative ways of playing around with people in the environment. Speaking of playing with the environment, the game now features some destructible environments. The level of destructibility is questionable at the moment, as it wasn’t featured too prominently in the trailer, but seems like it may be more cosmetic than fully breaking your surrounding landscapes. 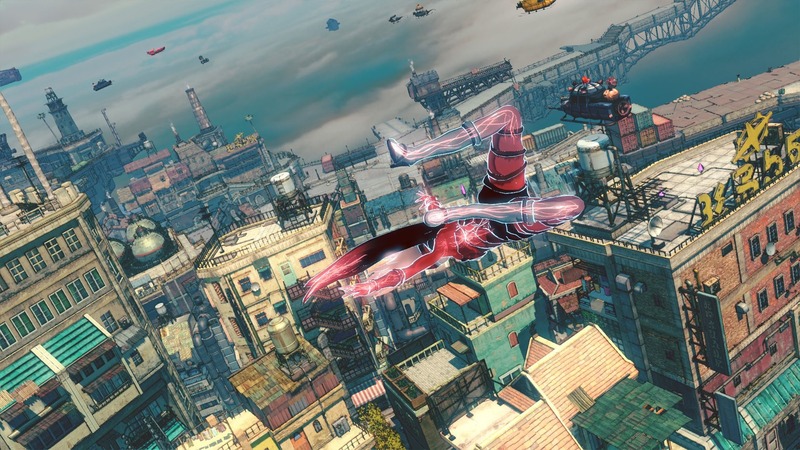 Still though, we were shown a very nice use of particle effect when Kat slams the ground, along with all the breakable objects flying around as Kat uses her gravity controlling powers. It really makes for quite the spectacle watching the rubble and fallen wreckage swinging around in a chaotic frenzy. Gameplay wise, it looks like the game is played the same but builds upon it’s predecessor’s foundation, improving and adding to it’s mechanics. For starters, the introduction of the Lunar and Jupiter systems. Using Lunar makes Kat lighter and faster and Jupiter makes her heavier and stronger. Whether this will add new move sets into the mix or not is currently unknown, but it’s interesting to see them experimenting in expanding your available fighting style. A final interesting part of the trailer is the introduction of a second player, Raven into mix, though unfortunately only an AI player. How she is interwoven into the story and when she’ll come to your aid has yet to be revealed but it’s something to definitely look forward to. As of yet we don’t have a current release date but it’s slated for a 2016 release, along side the HD remastered version of the original on PS4.